Emy Casaletti-Bwalya is the CEO of Optimize Strategic Agency and is a FIFA Marketing Consultant and Instructor. 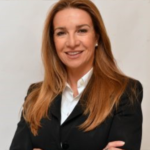 In her over 25 years of marketing experience, she has worked in general management and executive levels for a large range of local and international sports organisations, including the 2010 FIFA World Cup Organising Committee, Kaizer Chiefs Football Club, Octagon Sports Marketing, Reebok, Kappa, Vodacom, Rothmans, Eskom and Coca-Cola. As a seasoned marketer, Emy’s work incorporates all facets of marketing, but her particular strengths lie in the development of brand strategy and positioning, new product development and business development strategy formulation. Married to football legend Kalusha Bwalya, Emy is a Chartered Marketer and Associations of Marketers member as well as a Board Member of Women & Men against Child Abuse. Error: Error validating access token: Session has expired on Saturday, 23-Mar-19 09:12:20 PDT. The current time is Wednesday, 24-Apr-19 17:01:17 PDT.